The Cheung Chau Bun Festival, also called Tai Ping Ching Chiu, is a unique event that takes place from the fifth to the ninth days of the fourth lunar month every year, which is usually in April or May. Attracted by the “Bun Mountain” and the Piu Sik Parade (Floating Colours) , I have been to Cheung Chau (long island) during that period. According to the legend, the origin of the festival was due to an outbreak of a plague in the late Qing dynasty (1644–1911) on the island. The residents of Cheung Chau invited some eminent monks to set up an altar in front of the Pak Tai Temple and prayed to Pak Tai. Also, they paraded with the statues of deities throughout their villages. Finally, the epidemic was eliminated. This custom has never stopped since then and has become the largest traditional event on the island. The unique heritage attracts tens of thousands of Hong Kong’s urban residents and foreign visitors. In 2011, it was listed as a world intangible cultural heritage. Moreover, it was chosen by the online TIME Magazine as one of the “Top Ten Quirky Festival”! The “plague eliminating” parade has evolved into the one with gongs and lion dancers, and most importantly, with children dressed as deities or ancient and modern figures, balancing on poles and shuttling on streets, like “floating above the crowds” at first glance! It is the climax of the bun festival. 12 players will climb up a “bun mountain” of about 14 meters high and about 3 meters in diameter, which made of steel, bamboo and approximately 9,000 buns! In the past, the locals would build 3 “bun towers” in front of the Pak Tai Temple for worship. As they believed that these buns could bring safe and healthy to them, so they would scramble as much buns as possible. This custom has evolved into the current “Bun Scrambling “contest. * Complimentary admission tickets for the Bun Scrambling Competition will be distributed at Pak She First Lane next to Pak Tai Temple from 10pm, while stocks last. One of the special traditions is that the entire island goes vegetarian for 3 days during the festival. Even the local McDonald’s only sells veggie burgers. Most famous seafood restaurants there adhere to this tradition. You can buy some lucky buns at bakeries on the island if you like. 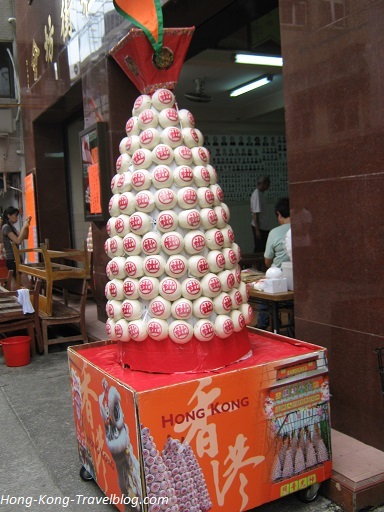 Please feel free to share your experience of Cheung Chau Bun Festival here! Thank you for reading this post. Contact us if you have any questions or comments. Please like us on Facebook and share our posts. 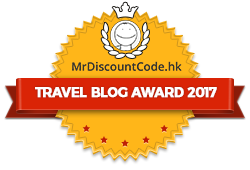 To subscribe for free newsletter from Hong Kong Travel Guide in your inbox, simply sign up at the right-handed sidebar. say I genuinely enjoy reading your posts. Can you recommend any other blogs/websites/forums that cover the same subjects? Hello! Thanks for your comments! I’m glad that you enjoy it. that should be shared across the web. Disgrace on the search engines for no longer positioning this post higher! be happy. I’ve read this put up and if I may just I desire to recommend you some fascinating issues or tips. I just want to mention I am very new to blogging and seriously loved your web blog. Most likely I’m likely to bookmark your site . You certainly come with excellent stories. Thanks for sharing your web site. I simply want to say I am beginner to blogging and site-building and honestly savored this page. Probably I’m going to bookmark your blog post . You amazingly have exceptional posts. Cheers for sharing with us your web-site. This year’s Bun Festival give us so much fun! Good to hear that. Thanks Nora for sharing this video with nice background music.